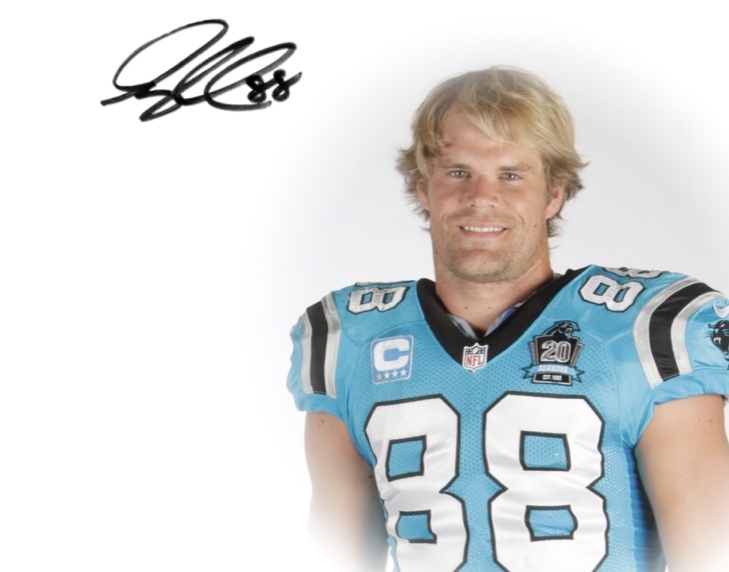 This post is dedicated to Carolina Panthers Greg Olsen, who has been named a Walter Payton Man of the Year Award finalist. In 1970, The Walter Payton NFL Man of the Year Award was established to recognize an NFL player for excellence on the field as well as excellence in the community. The recipient of this prestigious award receives $500,000, half of which goes to the player’s charity of choice while the other half is donated in the player’s name to expand Character Playbook across the country. There are 32 nominees in total, including the winner and two finalists, each of who receive $100,000 to donate to their charity of choice, with a matching amount donated in their names to the Character Playbook. The remaining 29 nominees each receive $50,000 to donate to their charity of choice with a matching amount donated in their names to expand Character Playbook. The NFL Foundation, Nationwide, and United Way Worldwide make these donations possible. So what exactly is the Character Playbook? The curriculum was designed to mirror real-life scenarios that our children will most likely face during adolescence, from the perspective of actually being involved directly or as a bystander. By covering both perspectives, students are better prepared to handle tough situations no matter their position. Establishing good character in our students strengthens our communities now and in the coming years. This program isn’t just focused on the now – in our often “what’s in it for me now world,” it’s refreshing to see a program in place that has the future in mind. One NFL player who understands the vision of tomorrow is Carolina Panthers Tight End, Greg Olsen. Now let’s all pause to give a standing ovation to Greg, who has been named a Walter Payton Man of the Year Award finalist for the second year in a row. I know in the hearts of Charlotteans and Carolinians, we all recognize him as our winner for all that he has done and continues to do for the Charlotte community and beyond. Greg puts a lot of good into the world and exemplifies greatness on and off the field. And as humble as Greg is, he would want us to also to recognize his lovely wife and teammate off the field, Kara (also a Smarty Mom), for all the goodness she contributes as well. In 2009, Greg Olsen founded Receptions for Research: The Greg Olsen Foundation after watching his mother win her battle against breast cancer in years prior. The program focuses on cancer research and education programming, funded by events set up by Greg. Hundreds of thousands of dollars have been donated to six hospitals and foundations nationwide. In 2013, Greg and his wife Kara founded the HEARTest Yard Fund after their unborn son, T.J., was diagnosed with Hypoplastic Left Heart Syndrome (HLHS), a congenital defect. The HEARTest Yard Fund, along with Levine Children’s Hospital, is a family service program that provides families of babies affected by congenital heart disease with services such as in-home healthcare. In 2013, Greg lobbied the House of Representatives for legislation that would require mandatory heart disease screening for newborns. The bill was ratified in July 2014. Carolina Panthers Greg Olsen has a legacy of breaking records on the field. But more importantly, he has a legacy of greatness off the field, literally changing lives and selflessly giving back. Greg could choose to disappear when not on the field, but instead, he chooses to be a force of goodness by refusing to sit on the sidelines of life, knowing all too well that there are life-changing plays to be made. THANK YOU Greg! April Showers Bring… More Baby Showers!